I've had no success in the past with hair removal cream. If suggested to me, I don't even bother to take up the suggestion just because they've never worked. I was so sceptical with taken up this review because I thought yup another hair removal that's not going to work but what I was drawn to is the natural ingredients that it has. 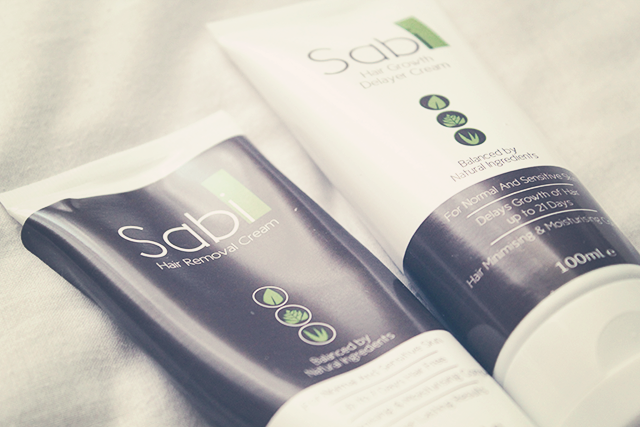 Sabi is launching on the UK market after having a successful US run. I was sent their hair removal cream and their hair growth delayer cream. Castor oil, Aloe Vera, Jojoba Seed oil, Sweet almond oil, green tea leaf oil Tea, Licorice Tea tree leaf oil are some of the balanced natural ingredients. Uhmmmmmm would love to try this,it sounds great! Hi www.sabiuk.co.uk - reviews are really great for this product. Can't wait to see it in the shops!